VIME La Reserva de Marbella Andalucia Hotel in Marbella. 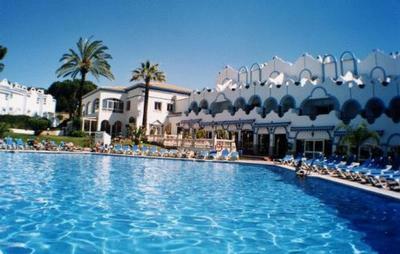 This Hotel by the beach in Andalucia on the Marbella Area, has a swimming pool, is close to the beach. Prices from 52.5 EUR. Welcome to the vime la Reserva de Marbella Andalucia Hotel.The vime la Reserva de Marbella can be found close to Cabopino Beach. Surrounded by gardens, the hotel has one indoor and 2 outdoor swimming pools. The spacious apartments have satellite tv, a terrace or balcony and air-conditioned bedrooms. For more on this Hotel by the beach in Andalucia on the Marbella Area please click on the availability buttons above and below. The VIME La Reserva de Marbella provides excellent Hotel in Marbella, Andalucia, Marbella Area Spain. The address is Carretera Nacional 340, Km. 193.6, Marbella, 29600.